The Cleaner is a highly effective cleaner for large smooth surfaces and color is irrelevant such as metal walls, plastic, PVC products. Exceptionally suitable for cleaning Plexiglas, solar panels etc. 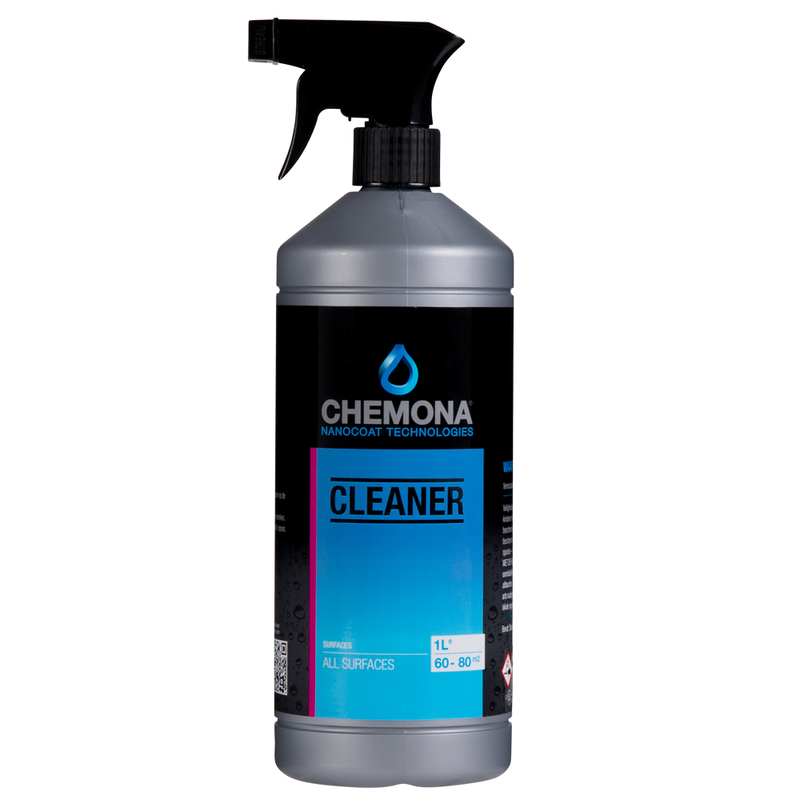 Cleaner is effective against very heavy soiling such as grease and dirt. It removes dust, organic dirt, rust, oil, moss, grease, tar, black stripes and oxidative. Cleaner is environmentally friendly and biodegradable. Product is free of silicone. The applied Nano coating gives a prolonged protection against contamination. Pink, dries colorless and streak-free (no cover), invisible. Physical state: Liquid. Bottles of 0.25 and 1 liter, 5 and 10 liter jerry cans. Theoretical coverage yields 32-48 m2 per liter (one layer). The indicated quantity is a target value. Depending on the nature of the substrate and process it may differ. Exact values for each project can be determined by painting test areas. The selection of the suitable gloves depends on the material, but also on the quality which varies from each manufacturer Suitable chemical resistant safety gloves (EN 374). Permeation: minimum >480min prolonged exposure; material/thickness [mm]: Nitrile/0.11 mm. Under normal operating conditions, no respiratory protection needed.